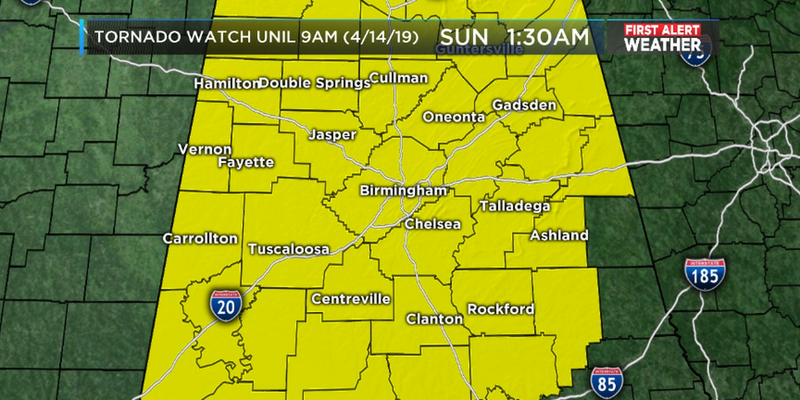 BIRMINGHAM, AL (WBRC) - A Tornado Watch is in effect for Calhoun, Cherokee, Chilton, Clay, Cleburne, Coosa, Etowah, St. Clair, Talladega, and Tallapoosa counties until 9 a.m. 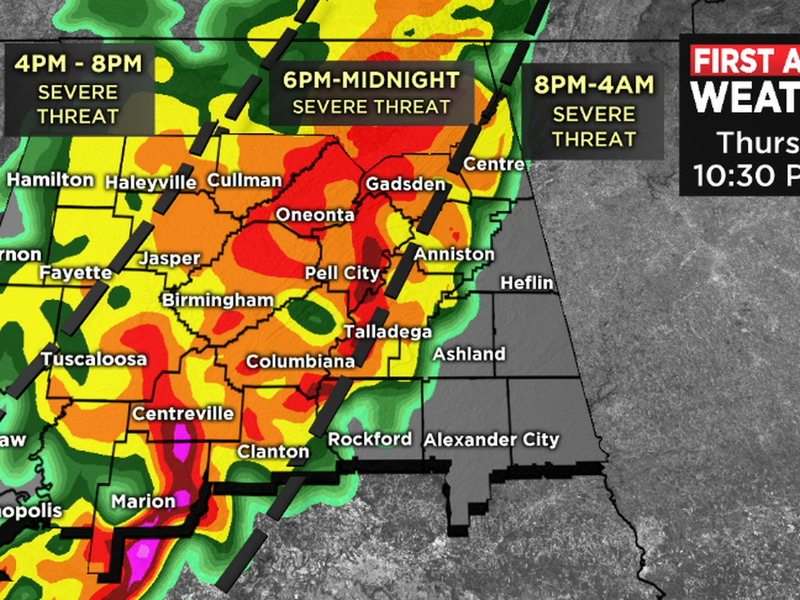 The main line of storms will likely impact I-65 corridor around 3-5 AM (4/14/19). 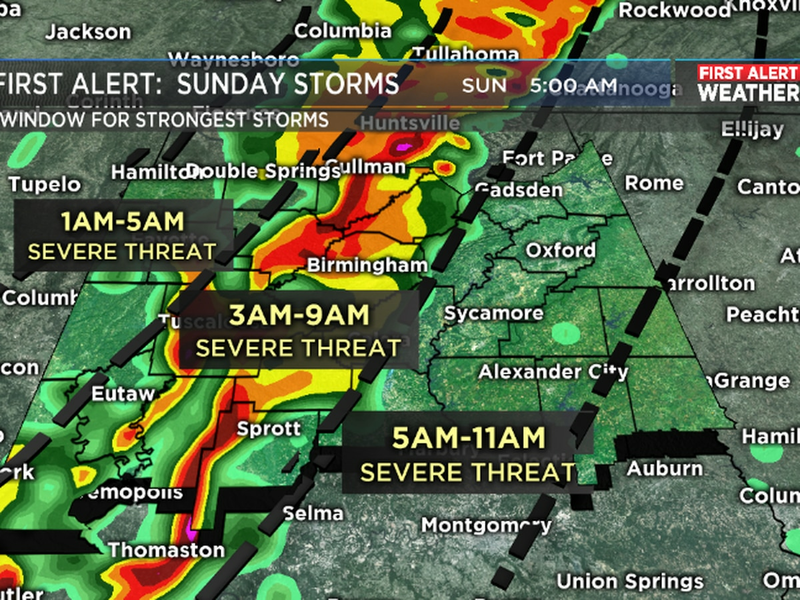 East Alabama will likely be in the action from 4am-9am. The latest trends are showing a slight weakening of the storms with storms remaining very strong in the southern half of the state. 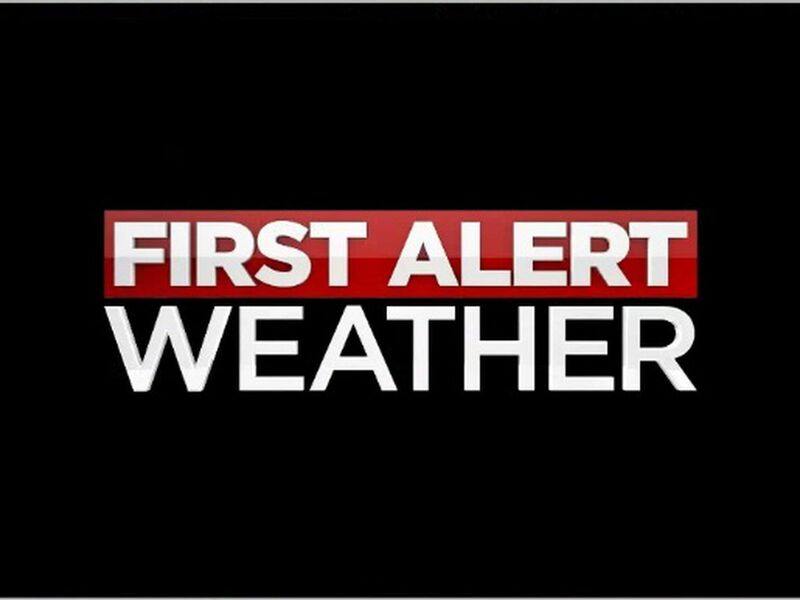 Everyone needs to stay weather alert and have several ways to receive warnings during the overnight hours. Once the storms move through this morning, the rest of the day will stay mostly cloudy and windy. We could easily see wind gusts near 40 mph this afternoon. It would not surprise me if we saw sporadic power outages from non-thunderstorm wind gusts later today. A few isolated storms could develop later in the day, but the tornado threat should come to an end. 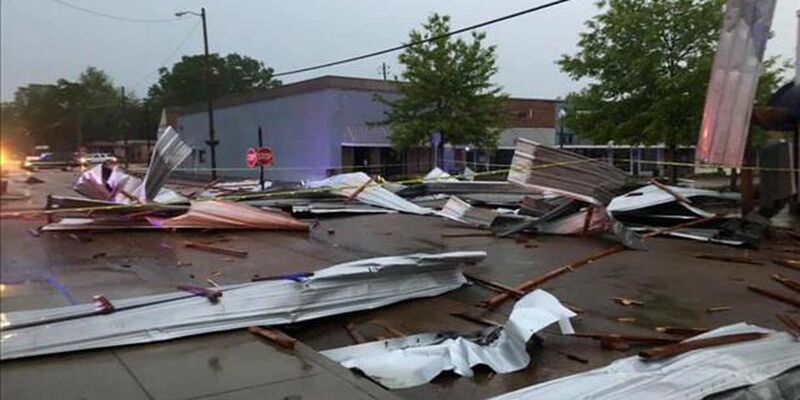 If anything becomes strong, hail and gusty winds would be the main threat. We trend cooler and drier tonight once the cold front moves through. Morning lows Monday could dip into the lower 40s.